Today was a particular chilly day in Ontario, which meant everybody got to wear at least 1 knitted item. 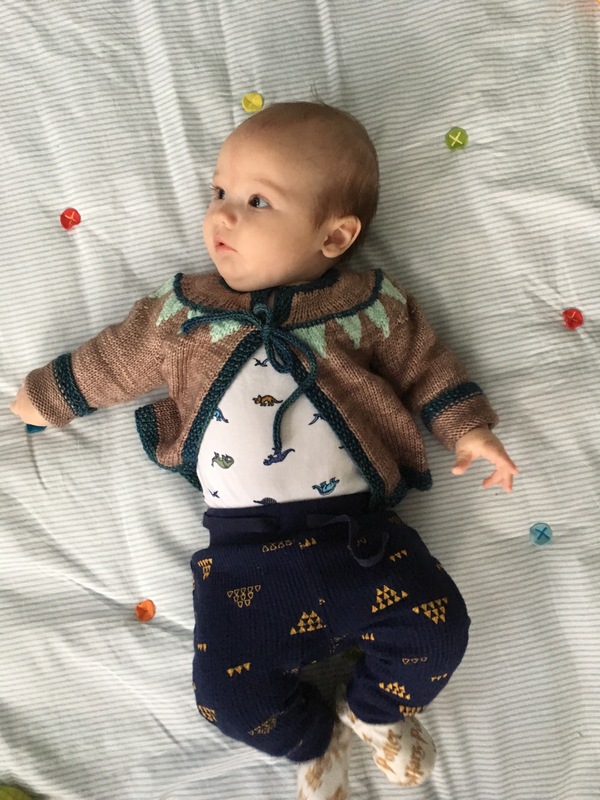 Miles got to wear his Sweet Bunting Cardi by Laura Chau, which really is one of the sweetest cardigans in the world. It’s knit in Malabrigo Arroyo and scraps of Sweet Georgia Superwash Sport and what I think was RainCityKnits sport weight. 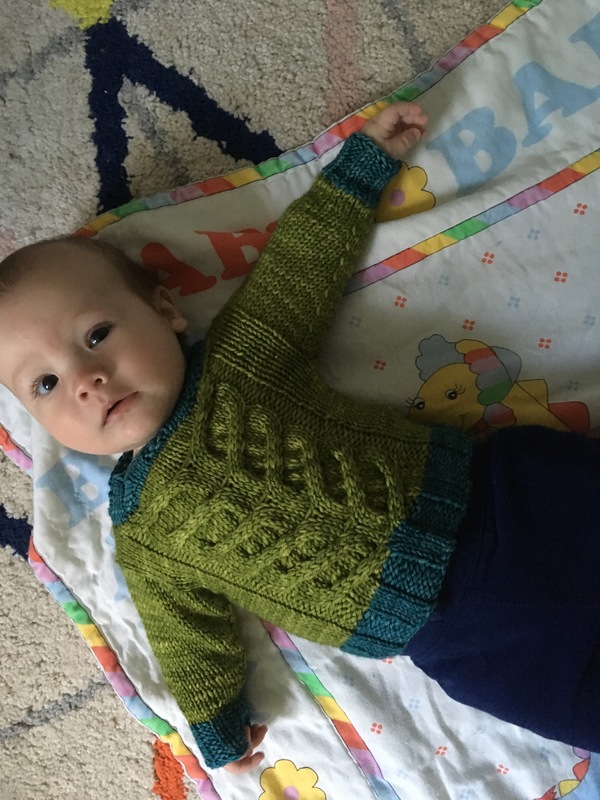 All are beautifully soft and superwash yarns, practically perfect in every way for babies (and definitely stood the test after a day of drool and minor spit up!). I recently found out one of my friends in expecting, and I’m seriously considering knitting her a Sweet Bunting, and who am I kidding, I’ll probably end up knitting M. another one in a larger size eventually. In other news, I’m absolutely thrilled because I’ve got not one, but two FOs pinned and drying in the spare room! 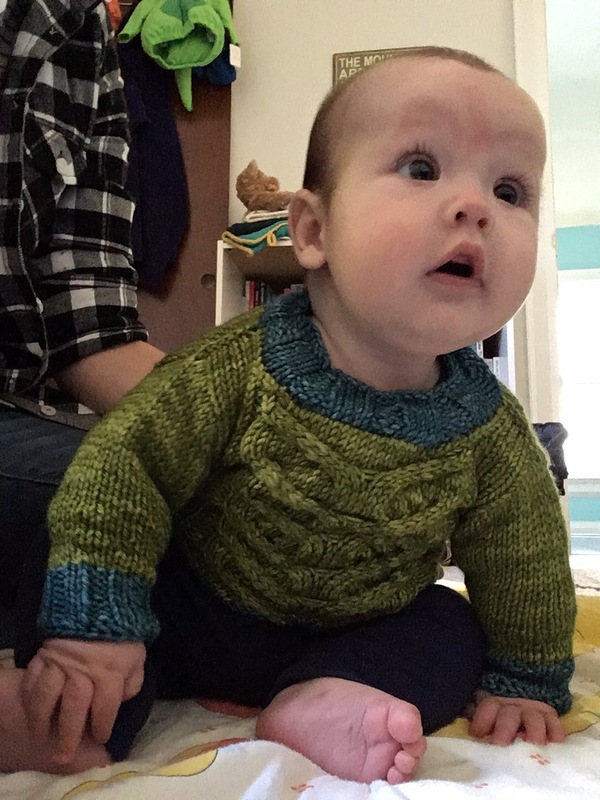 I finally, finally tackled and finished my Breathing Space sweater, and pushed through the sleeves on Miles’s stag cable pullover. I’m trying to be a good girl lately and only complete projects rather than start them, and so far I’ve been good – at least for the month of October so far. What? 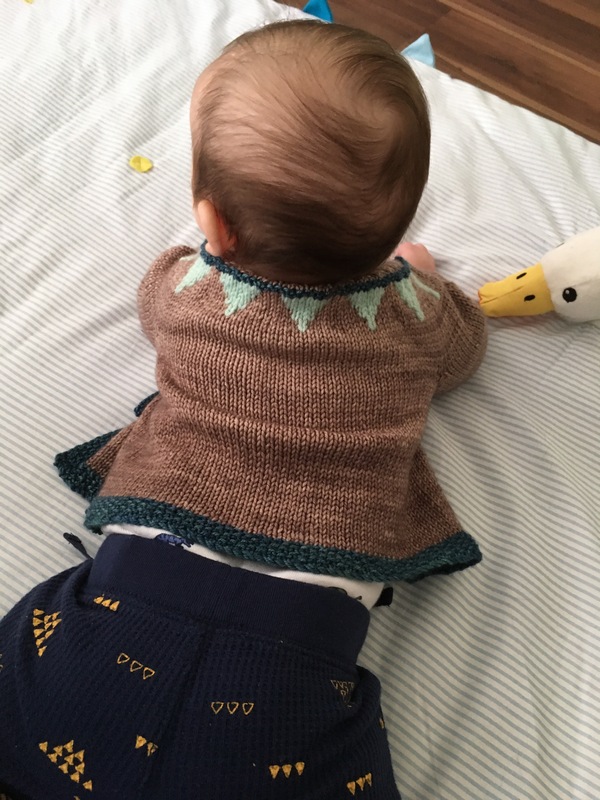 I managed to snag some Brooklyn Tweed Loft and the pattern for Boardwalk. It was the last temptation, I swear. Until Christmas knitting season begins, that is.